Llanganuco is a unique lake in the Peruvian Andes mountains with clear blue-green colored water and—no surprise—considered the most beautiful lake in Peru. This cocktail is made with a traditional liqueur from the region, Pisco. A Pisco is a liqueur made of Peruvian grapes mixed with brandy. 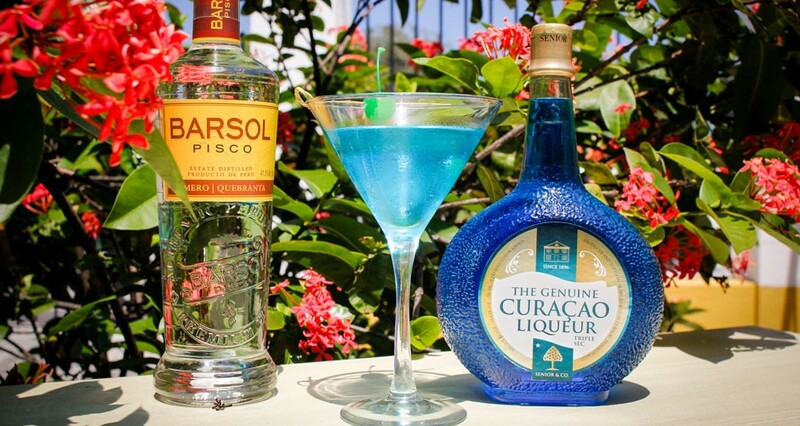 Our Blue Curaçao is used to recreate the magnificent color of the lake. Add the ingredients in a shaker, fill it with ice and shake well. Take a chilled Martini glass and strain the cocktail into the glass. Garnish with green cherry.